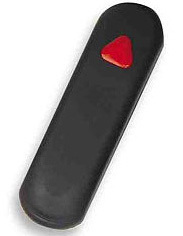 Each pointer comes with a gift box and batteries. 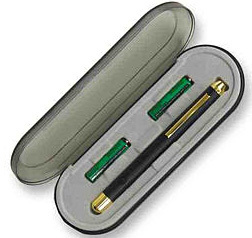 P645 - This elegant pen-type pointer projects a fixed red dot and fits comfortably in your hand. Comes with velvet gift box. 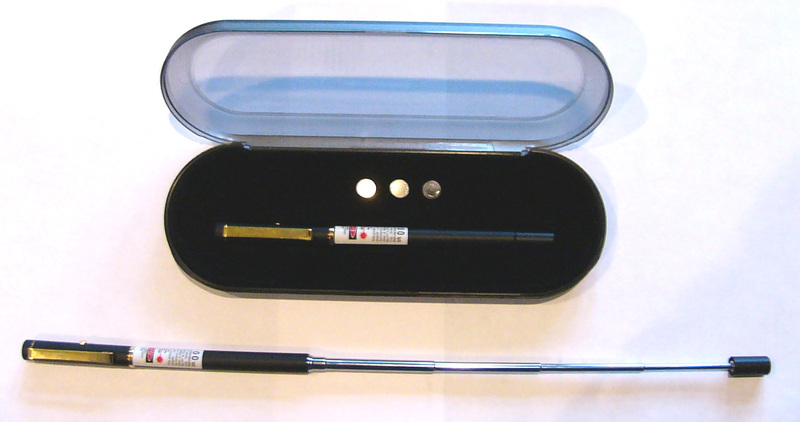 P200 - 3-in-1 pointer, Includes red laser pointer, ball point pen and telescope pointer. Rugged brass with black finish and gold trim. Can be extended to 19 inches. Comes with plastic gift box and batteries. 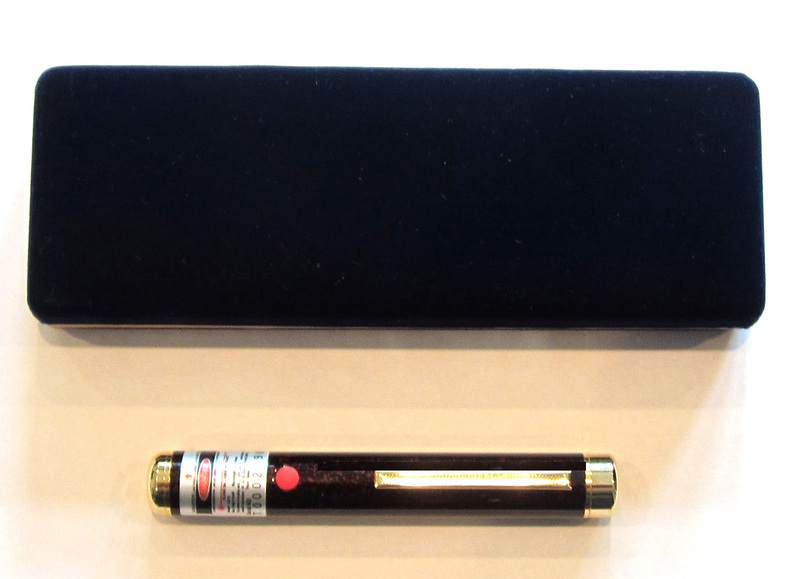 DOT645 - Elegant pen-type, rugged brass barrel with black matte finish and gold trim. The special discount price is $39.98 and lower. 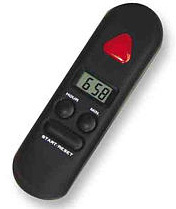 T645 - Hand-held red laser pointer with clock and countdown timer which beeps at 10 and 5 minutes before and at final set time to keep presentations on schedule. distance 1500 ft. 1500 ft. 1500 ft. 1500 ft.
Dimension 0.4"x5.5" 0.35"x5.5" 0.5"x4" 4.7"x1.3"
� Copyright 1999-2015 Beta Electronics, All rights reserved.